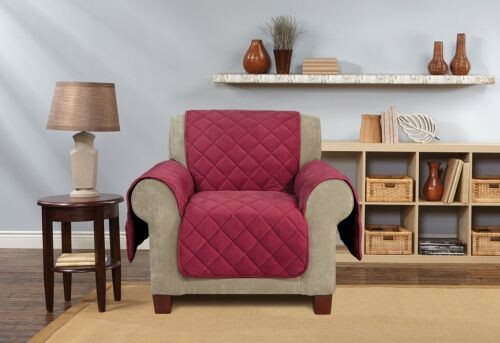 Memory Foam Furniture Cover, by Sure Fit, is a soft, stylish slip cover designed to provide furniture protection while keeping lounging luxurious. The plush fabric is treated with an anti-static finish, and diamond stitched with a high loft poly-fill for cozy warmth. Memory Foam Furniture Cover features a zippered pouch that allows for a one-inch memory foam seat insert, and three convenient pockets, including a 10.5 inch pocket to hold a tablet or e-reader device, on each arm to give you instant access to smart devices, eyeglasses, and magazines. The microfiber backing keeps the cover snugly in place. Available in four attractive colors. Machine washable. Vitality Medical also carries other furniture covers, such as the K and H Pet Products Furniture Cover and the Quilted Waterproof Mattress Protector. 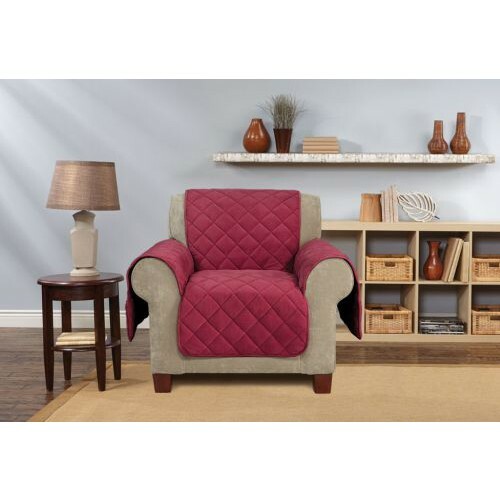 Plush Fabric Treated with Anti-Static Finish, and Diamond Stitched with a High Loft Poly-Fill for Cozy Warmth. Zippered Pouch holds included 1-Inch Memory Foam Seat Insert. Three Convenient Pockets On Each Arm Allow For Easy Access to Remotes, Glasses, Periodicals, etc. Microfiber Backing Keeps Cover Snugly in Place. The manufacturer does not guarantee that this product is water/urine proof.